Burke replaces Jim Gabarra and heads up a new look technical staff for the upcoming season. After months of speculation, the Washington Spirit announced today that Richie Burke would be the new head coach and technical director of the team going forward. After Jim Gabarra was fired last season due to a disappointing season which saw the Spirit finish nowhere near the NWSL Playoffs, the Spirit's front office, including new CEO Larry Best, feel that Burke will help the team climb up the table this season. Last season in the National Women's Soccer League, the Spirit finished in eighth with only two wins to their name. Considering the quality within their roster, with the likes of Mallory Pugh, Rose Lavelle and Rebecca Quinn to name a few, the Spirit underperformed and Burke looks to reverse the team's fortunes this year. Burke noted that his coaching experience had been in professional men's settings but he was "excited" to work in the setting of professional women's soccer. Burke also acknowledged that he had a talented roster at his disposal and a "knowledgeable and passionate group of coaches and staff" which he feels will help him acclimatize to the NWSL. Burke ended his statement to the club's official website by vowing that he and his staff will "work tirelessly to provide Spirit fans with an exciting brand of football that they will be proud of, and establish a winning culture on and off the field". 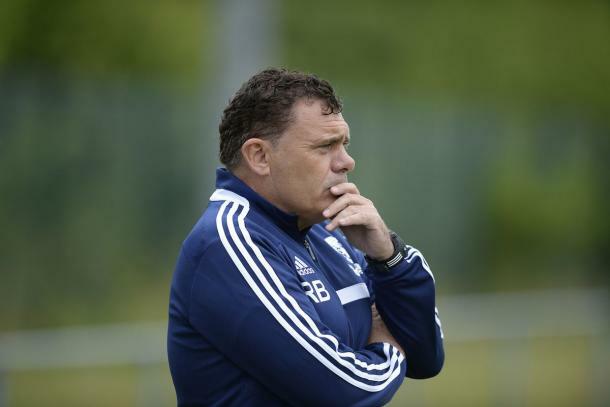 Burke will also be working alongside two new coaches for the Spirit. Michael Minthorne and Christian Cziommer come in as the high performance coach and tactical analyst/team performance coaches respectively. They will be joining current technical staff members, Tom Torres (player/opponent analyst and technical development coach), Kati Jo Spisak (scouting and reserve team head coach) and Ben Berczek (equipment manager and training coordinator). Richie Burke's previous coaching experiences include five seasons with D.C. United's Under-23 team between 2005 and 2010, Livingstone FC in the Scottish Professional Football League for a season, and then returning back to D.C. United's academy in 2014. As such, Burke has never worked in professional women's soccer and may need the time and patience of the Spirit fans as he adapts to this new challenge.